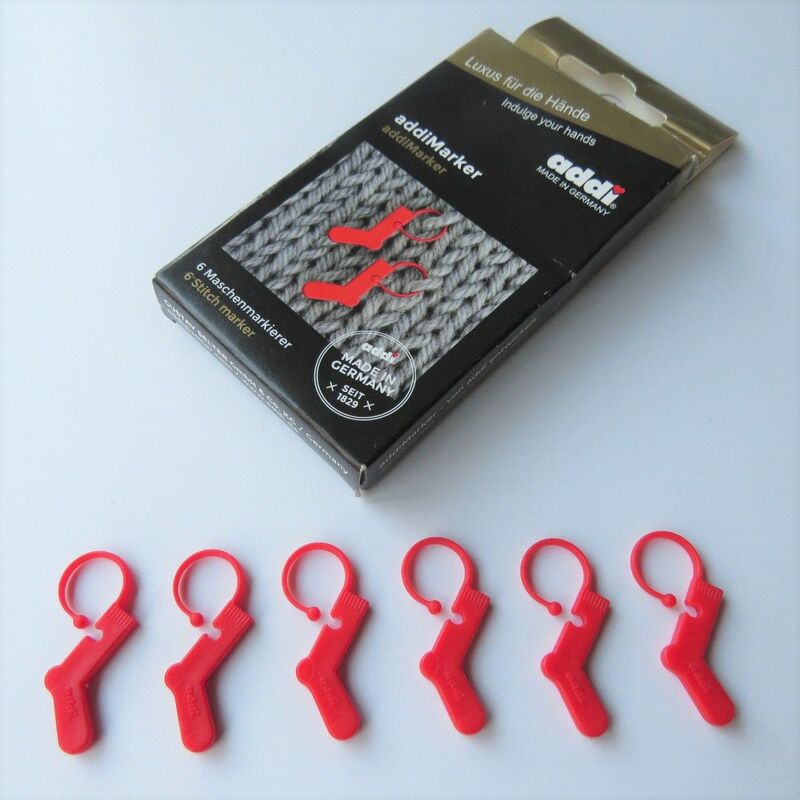 Each pack contains 6 sock-shaped stitch markers. ADDI have once again been working their magic, this time ready for Christmas! 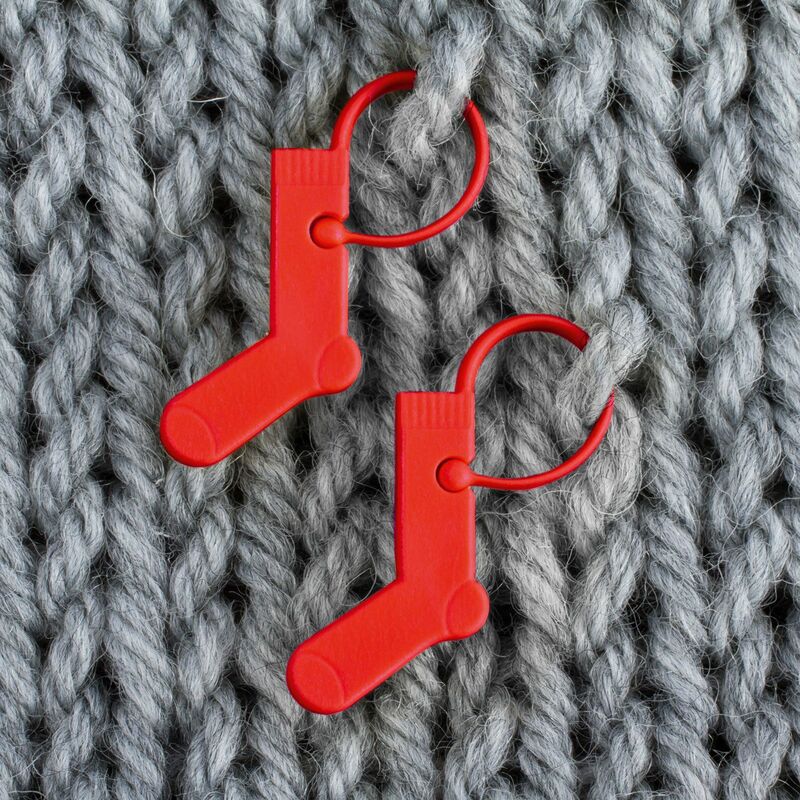 The result is a big stitch marker in the shape of a sock (or stocking) – ideal for thick yarns, these markers will make marking your piece of knitting or crochet so easy. 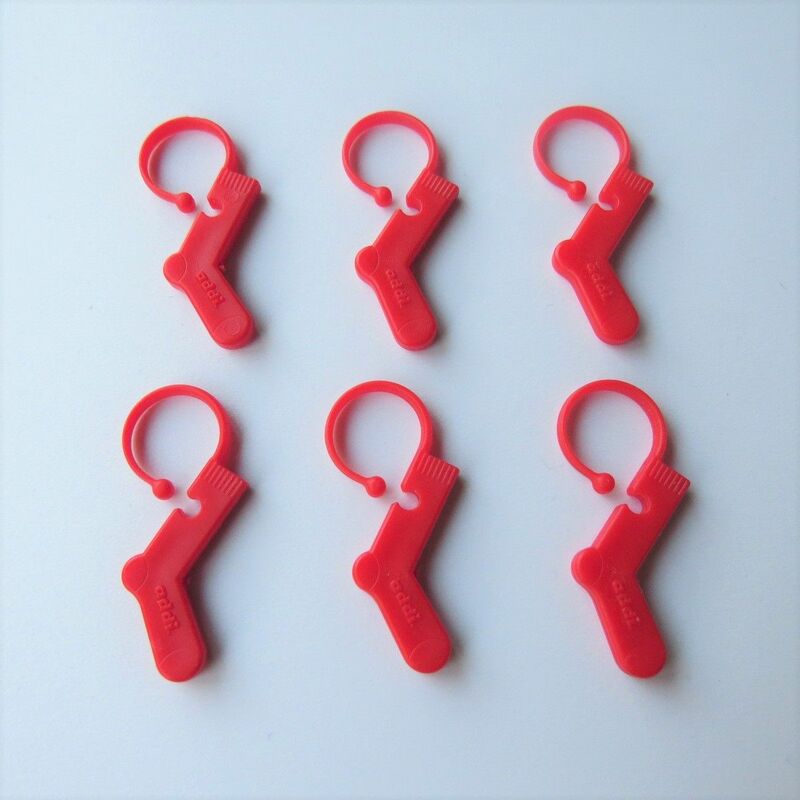 The loop is open so you can hook it onto the fabric as well as slipping the marker onto your needles in the usual way. 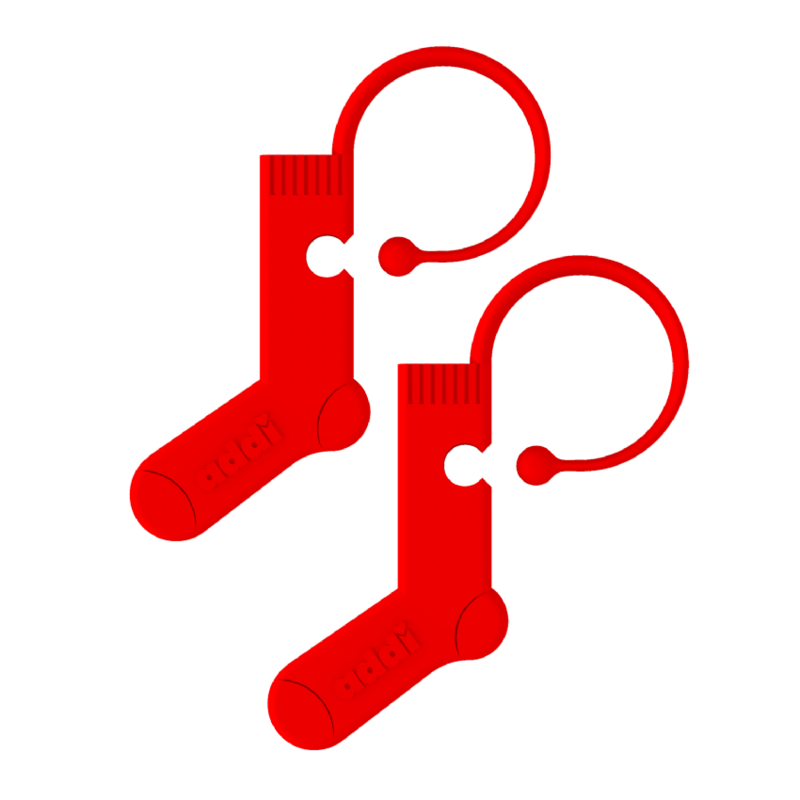 ADDI sock stitch markers are manufactured in Germany, naturally. To help keep track of your pattern or to plan your work. Mark the position of features and anywhere you need to work shaping: for heels, necklines, yokes or armhole placement. In circular knitting, placing a marker at the beginning of the round is always helpful. When knitting complicated stitch patterns that require counting. Where you are distributing several different stitches over the row, as in cable knits. To mark short rows, where you are not knitting the whole row and need to know where you want to turn.